The forest on Camps Bay Retreat’s private nature reserve is getting a boost. 100 new trees are being planted throughout the property. This will increase the density of trees, particularly on the Skywalk Trail. Not only will the new trees further beautify the property, but they will also increase its biodiversity. As big fans of the environmental health, biodiversity is something that is important to Camps Bay Retreat. Biodiversity increases the indigenous species of the region. This is especially important given that Camps Bay Retreat’s four-acre private nature reserve is connected to the Glen Forest and Table Mountain National Park. 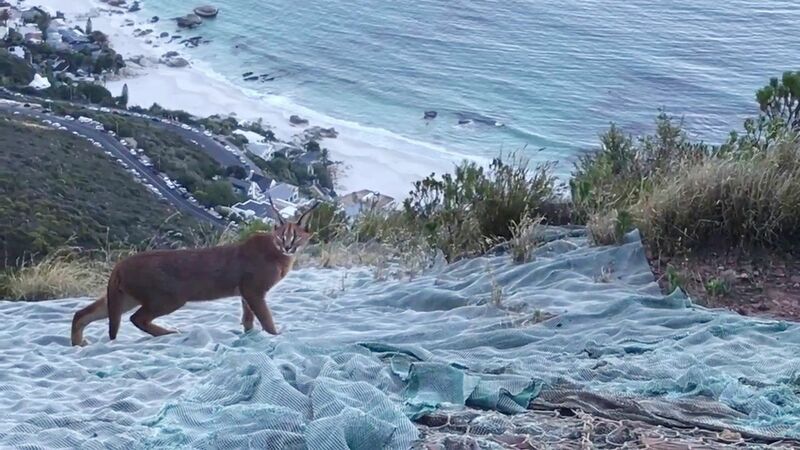 A rare wild caracal, spotted in January 2018, on the paragliding launch pad on Lion’s Head, less than 1 km from Camps Bay Retreat. Habitat biodiversity is linked to mammal biodiversity. As well, many of the invasive tree species that are widely grown in South Africa, such as Eucalyptus trees, are extremely heavy water users. Earlier, many of these invasive tree species that had previously occupied the property were cut-down and removed. Given Cape Town’s current water crisis, it is more important than ever to remove invasive tree species that are heavy water feeders. Invasive tree species can also be an enormous fire risk. Eucalyptus and other Gum trees can burn up to 10 times hotter than indigenous trees species and fynbos. Heading the planting team is Reto Mani, landscape designer for many Village n Life properties, as well as Fergus and Gregory who are part of the Horticultural Sabbatical Programme. 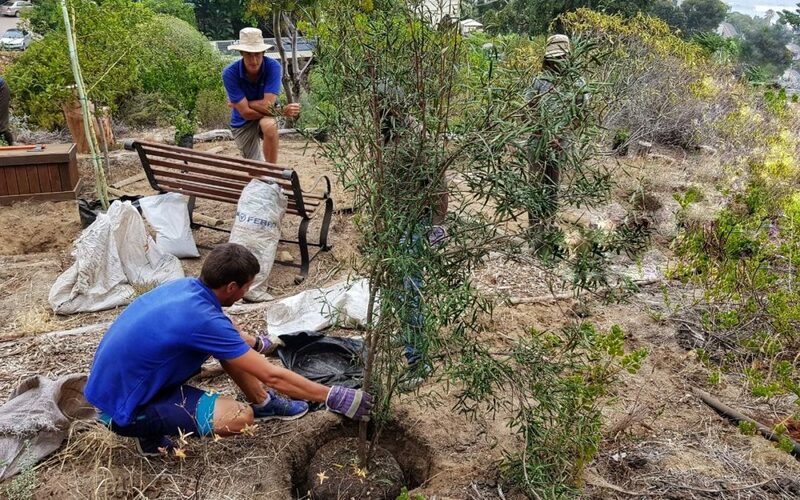 The new trees being planted at Camps Bay Retreat are a mixture of Southern African indigenous trees and non-indigenous trees well adapted to the landscape. 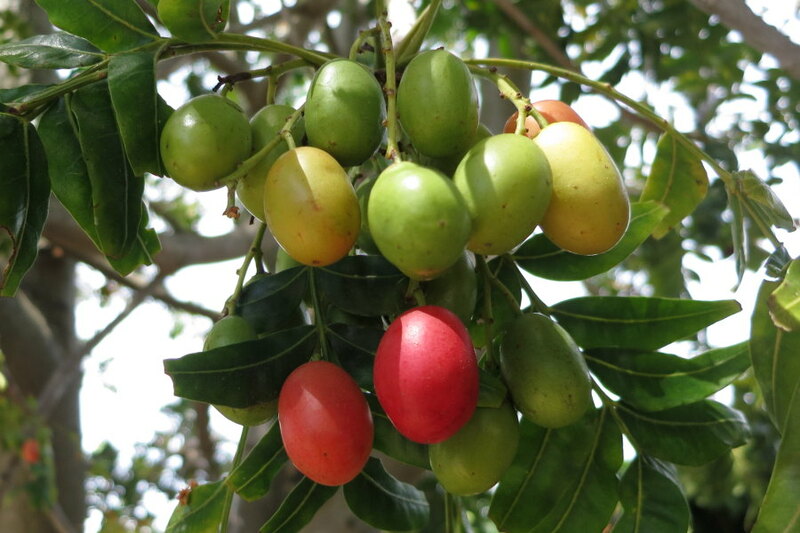 Some of the indigenous trees have traditional uses in Southern Africa for curing ailments and for spiritual cleansing. The reddish bark from the Wild Plum trees was used for dyeing by the Khoisan people of Southern Africa. The fruit is commonly used for making jam and occasionally Rosé wine. The fruits of the Wild Plum tree are edible. The bark of the Forest Elder is used as a strengthening medicine during a time of grieving for the Zulu people of South Africa. Tree Fuchsia has been cultivated in Cape Town for many generations. The naturalist William Burchell recorded it in his diary for February 1811 as growing in the Company Gardens in Cape Town. Several new Californian Mission Olive trees were planted in front of the Villa, expanding the existing olive grove. These trees are especially suited to table olive production as well as for olive oil. Perhaps one day we can expect Camps Bay Retreat table olives to be produced. 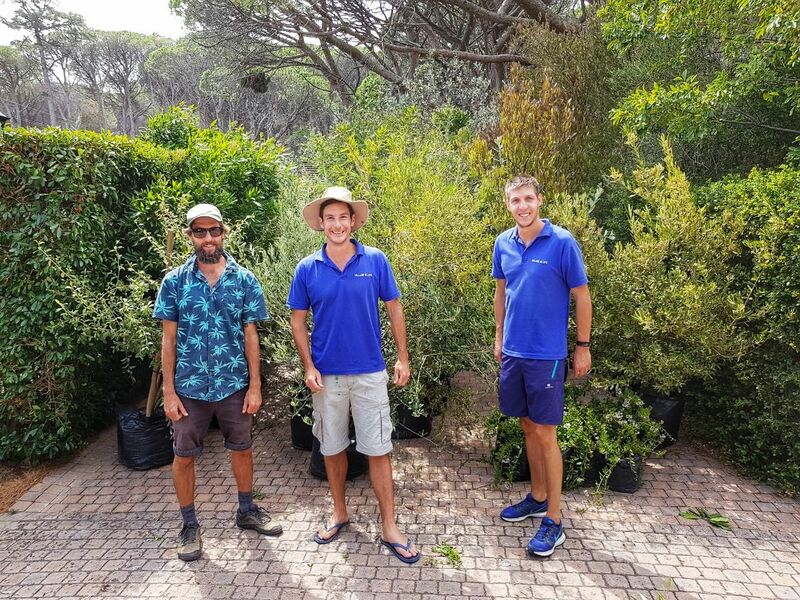 Other trees planted include the Camphor Tree from East Asia, as well as the Sand Olive, Water pear, Coastal Silver Oak, False Olive, and Fever Tree, all indigenous to Southern Africa. Find out more about Camps Bay Retreat here.